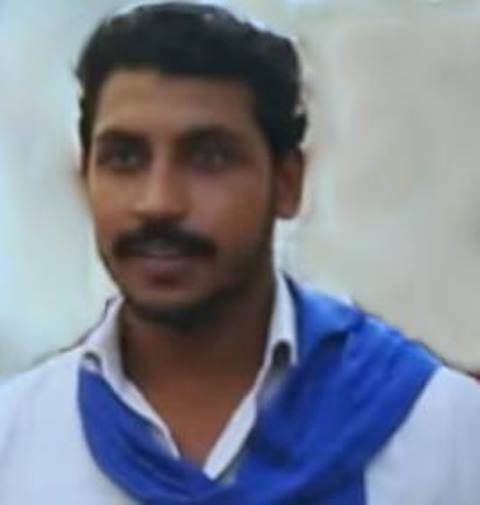 Saharanpur: Bhim Army founder Chandrashekhar alias Ravan released from jail here on early Friday morning, along with three others, who were jailed under National Security Act, NSA for the past over 17 months. In a move to woo the Dalits before the 2019 Lok Sabha polls, the Uttar Pradesh government on Thursday decided to withdraw NSA invoked against three Dalits, including Bhim Army founder Chandrashekhar alias Ravan. The Saharanpur district authorities were asked immediately to release Ravan along with his two supporters Sonu and Shiv Kumar. However, after coming out of the jail, Ravan promised before his supporters to take revenge against the BJP, who had unleased atrocities against the Dalits in western UP and harassment of his supporters. "We will give back with interest what we had suffered during the past one and a half year regime of the present BJP government and the 2019 Lok Sabha polls would showcase our commitment," he told UNI here on Friday. "Justice has prevailed in our case and the people of the state had seen the black side of the BJP government in UP. We will teach them a lesson in the coming 2019 Lok Sabha polls," he further added. Claiming that UP government was forced to release him and his supporters as Supreme Court was ready to give him bail, Ravan said ," this BPJ government is anti-dalit and they are doing everything to harass the community." He disclosed that Bhim Army would play an important role in the 2019 Lok Sabha polls as their fight for the Dalits and the backwards have helped the society a lot.He, however, refused to say anything his Bhim Army's decision to support any political party in the elections but certainly his tilt was towards the BSP. Earlier, Ravan was released from the Saharanpur jail at around 0230 hours and he reached his Harijan colony residence in a procession of more than 1000 of the supporters on motorcycles and cars at 0300 hrs. Ravan was arrested by the STF of UP police on June 8, 2017 from Himachal Pradesh after several cases including NSA invoked by the Saharanpur district authorities over the caste clash between Dalits and Thukurs in Saharanpur on May 2,2017. The Bhim Army founder, got bail in all the cases but due to NSA he was languishing in the jail. When on Thursday UP government revoked the NSA he was released immediately.Six Bhim Army activists including Ravan was lodged in the jail under NSA but now it has been revoked against all. According to sources here, the government has instructed the District Authorities of Saharanpur to revoke NSA against three Dalits, presently in jail, accused in a clash in May, 2017. Bhim Army sources said that their top leader and legal aide were contacted by the UP government on Thursday afternoon and given the information about the withdrawal of NSA against three activists of Army, including its president Ravan. It claimed that following August 19 protest demanding release of Ravan and others, they had met top BJP leaders, while the UP CM petitioned them to withdraw the NSA.According to the government, the detention of Ravan under the NSA was till November 1, 2018 while of other two accused Sonu and Shiv Kumar were till October 14 next.